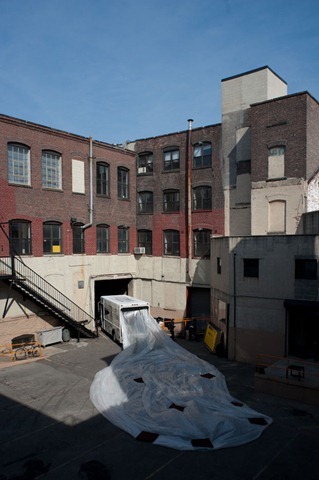 What can help assess and redefine public space’s qualities and potential? Perplexed? Don’t worry, if you live in the NorthEast between NYC and Detroit you’ve had or will have the opportunity to engage with this converted milk truck as it makes stops in various neighborhoods during a month-long series of public art interventions. 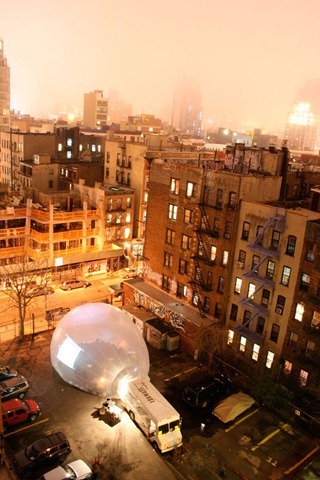 In 2009, German architecture firm Raumlabor collaborated with Storefront for Art and Architecture to create the Spacebuster in New York. Now the interactive art piece will go to Michigan to fill the state’s vast landscape with an enormous inflatable, inhabitable tent that unfolds from the rear of the truck like an oversized safety airbag. 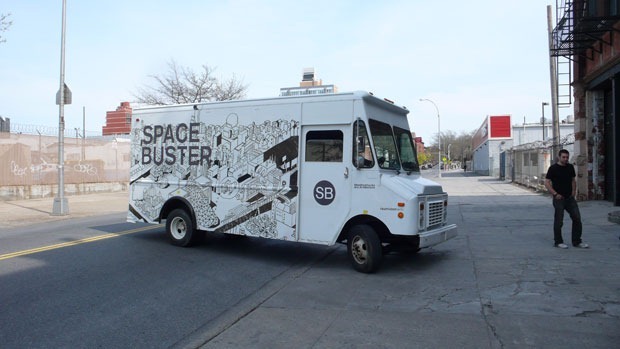 I’m highly anticipating the Spacebuster’s arrival in MidTown Cleveland, where it will park in the Agora Theater parking lot and be open to the public from 11am – 2pm on Thursday, July 26th, surrounded by Cleveland’s Famous Food Trucks. Everyone is invited to have lunch inside the bubble while hearing plans for the Euclid Corridor. Representatives from MidTown Cleveland will be on hand to gather feedback. For local information on the event, visit the FB page developed in conjunction with the Cleveland Urban Design Collaborative.